Joomla is a hugely popular free and open source content management system ( CMS ), which is used on millions of websites and has been downloaded over 75million times. It is a great option if you are looking to create a free website, all you need to do is download it and install on your choice of web hosting and then pick a template which is suitable for your website. Joomla is a great choice if you are looking to create a photography website or any other type of portfolio, you can use it to upload and manage your work and images and show off your designs to potential clients. 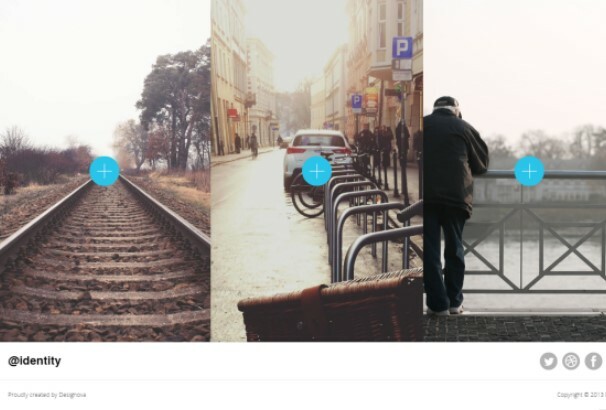 If you are a photographer, designer, artist or anyone else who needs to display their images online then take a look at our list below, we have gathered together over 50 great looking examples of Joomla Photography and Portfolio Templates. 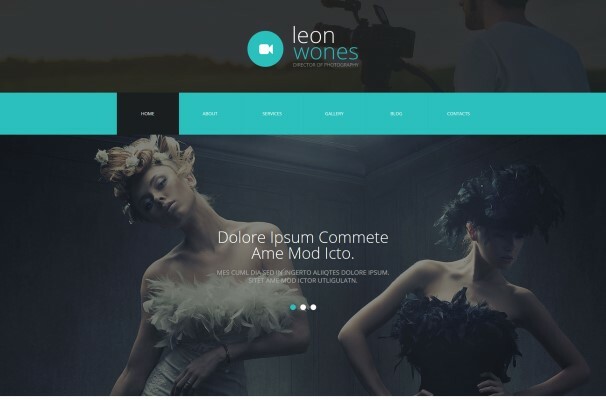 If you are looking for Joomla Business Templates take a look at our collection. This website theme comes with a really classy and romantic interface that gives your website a really retro and instagram like feel. The interface is really engaging and subtle and presents your content in a really posh way. The theme also makes use of elegant typography and presents your data with style on the interface. This website theme also comes with a number of great features which include a drop down menu and a back to top button as well. Black Photographer is a really classy and sleek website theme that also comes with a number of amazing features. The interface for this theme is really simple, minimal and alluring as well. 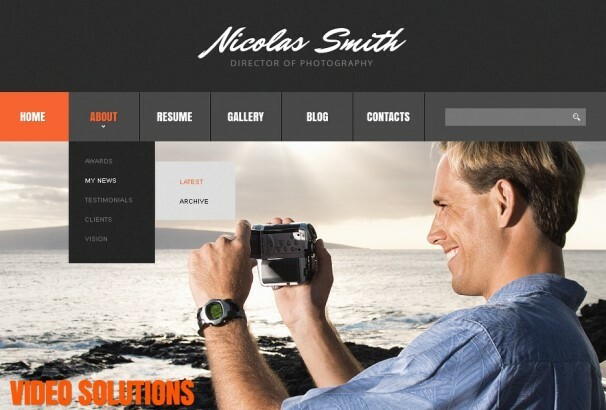 A fantastic theme for presentation of photoraphs and content this theme works perfectly for photographers and people that need a portfolio website. The theme comes with a main slider and three separate content areas that focus on your imagery and illustrations perfect for photographers. To make the website all the more intuitive the theme also comes with a back-to-top button to make navigation easy. 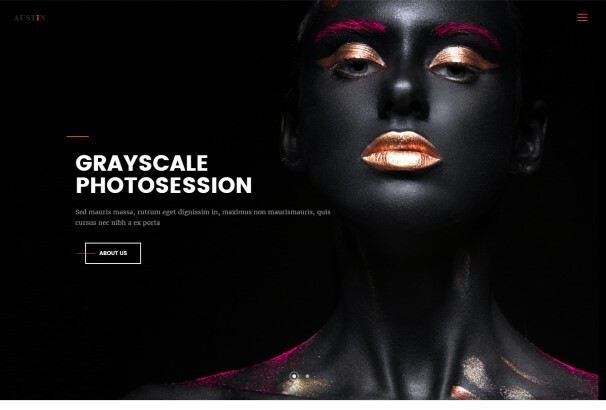 Gray Photographer is a really contemporary and stylish website theme perfect for photographers and portfolio websites. This theme comes with a really lively and engaging interface that comes with a grey and white interface with hues of orange. The design captures your attention and makes promotion easier. 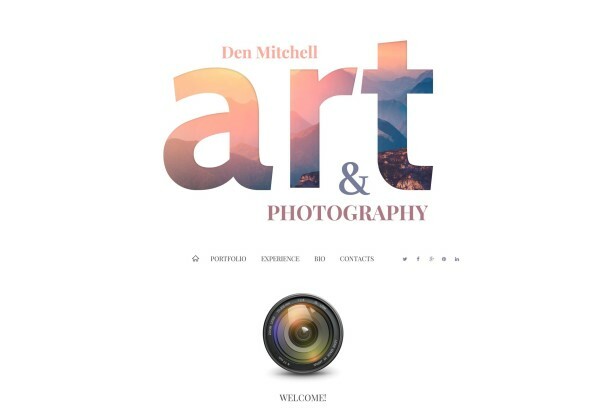 Not only does this theme comes with a really intuitive design it also comes with a number of amazing feature including a blog section, section for contacts, gallery and a responsive homepage that come together and help you create an amazing website theme perfect for photography and portfolio websites. 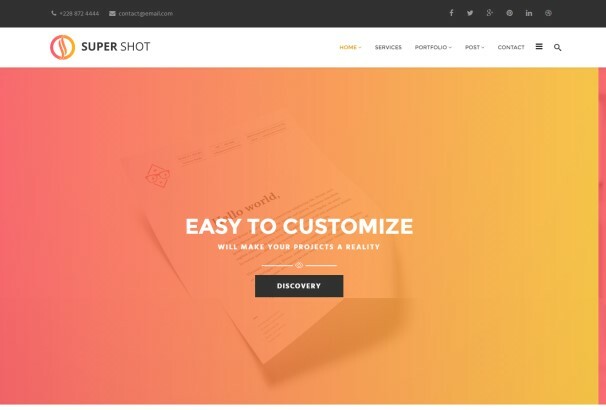 A really sleek, modern and stylish website theme perfect for photographers and portfolio websites, this theme has both the interface and the features to help you create an amazing website. The interface makes use of modern grey and black colours and displays your content in a tile based design making it catchy and stylish. In addition to that, to help you create an amazing portfolio website the theme also comes with a number of great features including services, blog and contacts section as well. 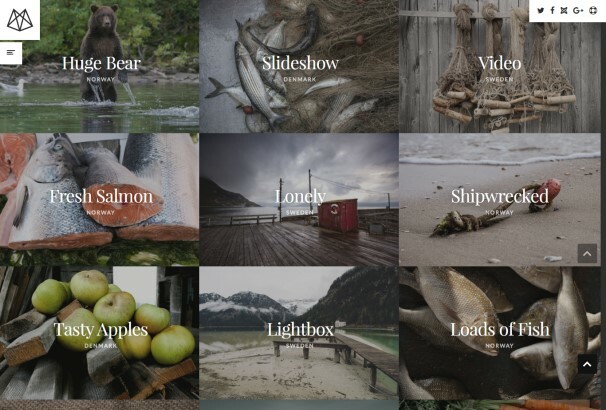 For all photographers, videographers and other artists that need a website to display their work and create an online portfolio, this theme does the trick. The interface is really responsive and professional with its blue and white colour scheme and all the focus on your info and you. Cutting out all the gimmicks and clutter this theme focuses only on what matters. The slider comes with a full-width background, sub-titles and a really smart and organized header layout as well. Built on the Joomla 3.3.6 and Bootstrap 2.3.1 technology this theme is highly efficient and one of the best portfolio themes we have. 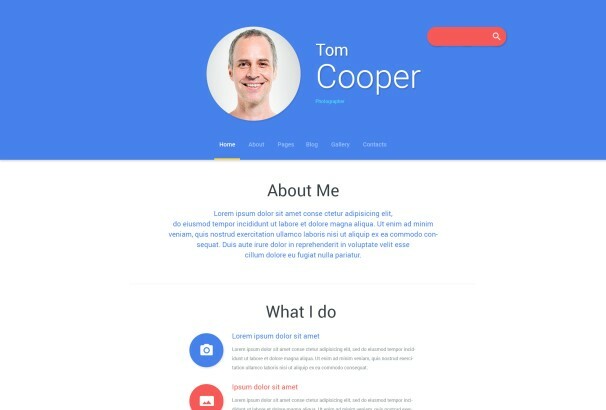 Online Resume is a website theme that does exactly what the name suggests. Using this theme you get to create a really smart and professional resume online without doing half the work you would normally have to do for a resume. To truly showcase your work and yourself to the world this theme allows you to present your info in a really organized way with separate sections for skills, education, bio and your work in your gallery as well. This theme also contains a section for testimonials in a slider. The theme presents your info and work in a really professional way. Photo Portfolio is a website theme that is all about imagery and making them come to life. The theme has a really classy and attractive design that gives your website an elegant and contemporary look. 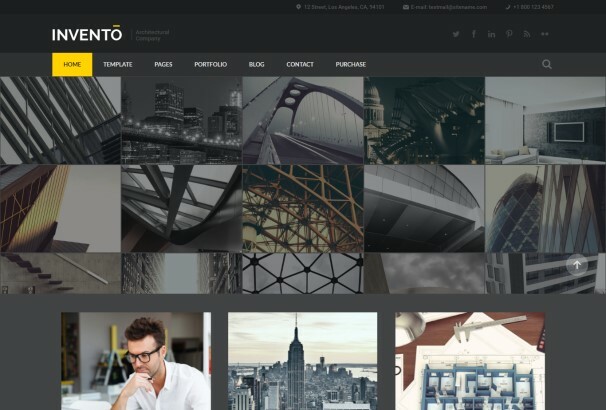 Perfect for photographers and for portfolios, this theme has everything you can possibly want from your website. Using Photo Portfolio you get to take your work and your brand online and transform the impact factor of your art. For all the people that want something creative and unique for their website, this theme is just the thing. 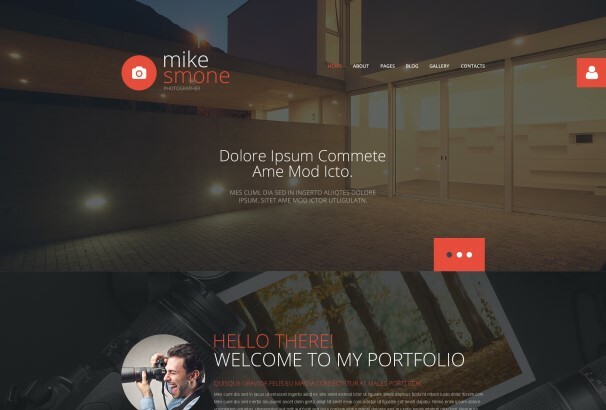 Mike Smone is a really subtle and artistic website theme that is perfect for photography and portfolio website themes. 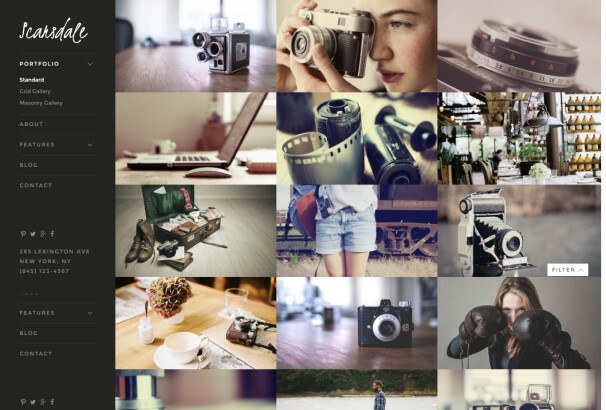 The main focus of this theme is on displaying your photographs and making your content shine. The photography in the interface is blurred out to make the text stand out. The theme is really organized and categorized and the header layout also helps you create a really systematic website. It also comes with a testimonials section and has separate sections for recent news and shortly about me section as well. The theme is all about you and your brand. 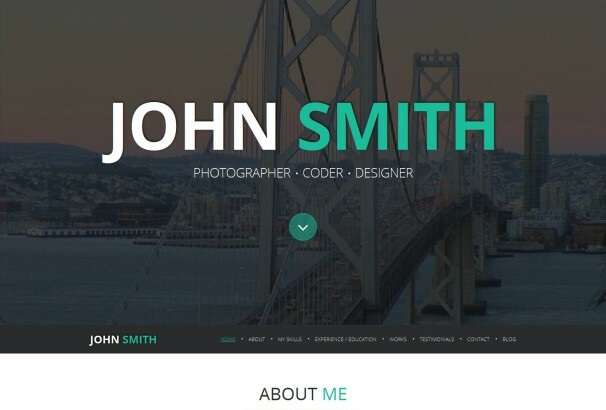 A really elegant and contemporary Joomla theme that makes use of amazing style and functionality to help you create a fantastic website, Photography Director has everything you need. The layout is really subtle and stylish and presents your work and the information in a really sleek way. The unique thing about this theme is that is doesn’t focus on anything else and puts all attention on the content minimizing all the clutter. Furthermore the theme comes with social media sharing options and crossbrowser compatibility which makes it one of the best and most flexible themes we have. 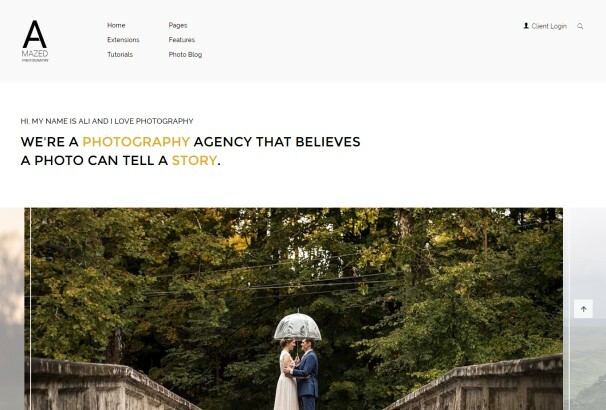 Professional Photographer is a really creative Joomla website theme that was designed with the sole purpose of displaying your content with simplicity and style. The theme comes with a really responsive pixel perfect interface that makes your content stand out in a really charming way. The perfect theme for presenting your content this theme is not only ver professional but also very easy to customize as well. This user friendly theme is very hassle free and alterations to it can be made with ease. The theme comes with a number of amazing features including a bundle installation process, alternative module layouts, quickstart package and a google web fonts. To make it all the more customizable the theme comes with a number of advanced theme options and social media sharing options as well. Freddie is a really contemporary and stylish website theme that is perfect for photographers and artists that want to showcase their work in a really elegant way. The theme comes with a really artistic interface that displays your content in a grid-based design. Not only do your users get to enjoy the highly engaging interface that also get to make use of amazing features including embedded video, a really user-friendly experience and easy navigation. For all the artists, photographers or even models that want to create an online portfolio, this theme is the perfect thing. The classy theme comes with a really engaging and stylish interface with a black and white colour scheme and a number of amazing features. Not only is the theme really responsive it is also really easy to navigate. With amazing features like the powerful mega menu, newsletter popup, parallax scrolling and a really high-tech commenting system Komento. With this theme you get to make use of a website that is really user-friendly and easy to use. The theme comes with SEO optimization and crossbrowser compatibility as well. 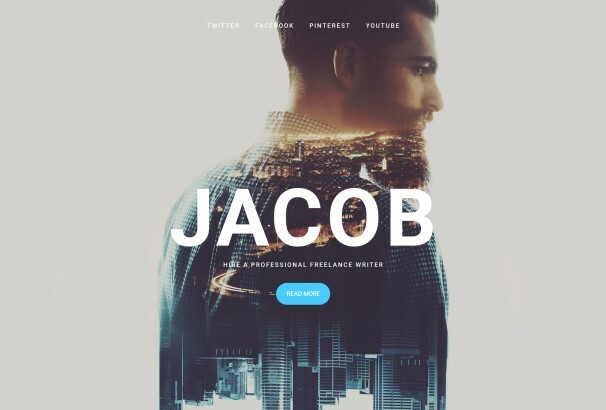 A really sleek and contemporary website theme perfect for creating an online resume, Jacob has everything you need from a portfolio website. The theme focuses on highlighting your work and making it shine so that it appeals to all visitors and potential clients. This Joomla theme is built on high-tech software and presents your content in a really modern and trendy way. The theme is also really easy to install and very easy to manage as well. 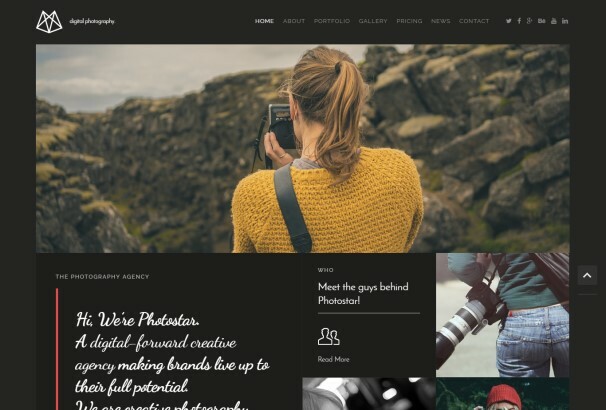 Photographer Portfolio is a really classy and amazing website theme that is perfect for photographers that want to present their work in a really alluring way. The theme comes with a really responsive and stylish main slider that is excessively classy and appealing. This modern Joomla theme is aesthetically and practically one of the best themes that we have. In addition to the interface the theme also comes with a number of amazing features including a fly-out panel, main navigation panel, contact details and social media sharing buttons as well. All your visitors can make use of the amazing feature that allows them to sync with all their social media accounts to the website. To top it all off the theme also comes with an amazing UI kit using which you get to add the extra oomph to your website and truly build a fan base that all photographers thrive on. 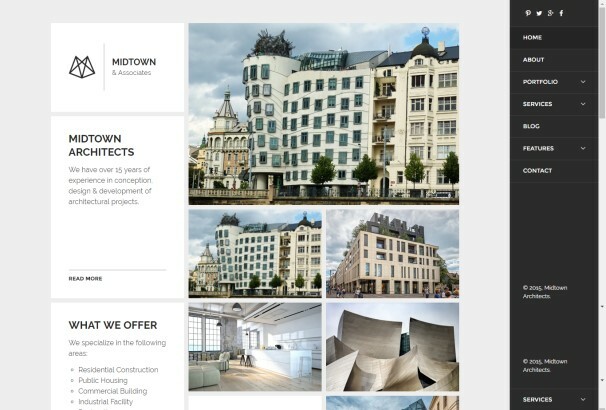 Midtown Architects is a Joomla website theme that is perfect for architects that want to build their portfolio online. The theme comes with an interface that is all about architecture. Its grid based design showcases the work you have done to your viewers and captures their attention due to the retina ready design. The theme also has amazing functionality and comes with a number of categories and headers that help you organize your content. PATHS is a really responsive and modern website theme that is perfect for photography and portfolio websites. The first themeforest website theme that is based on the amazing Gantry 5 framework, PATHS has amazing functionality and flexibility as well. 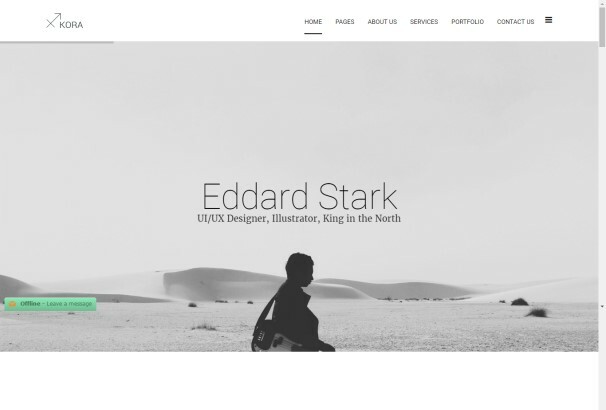 A multipurpose website theme that is perfect for portfolio, blogs and photography websites. The theme has a really responsive and engaging interface that gives your website a really fresh and lively feel. 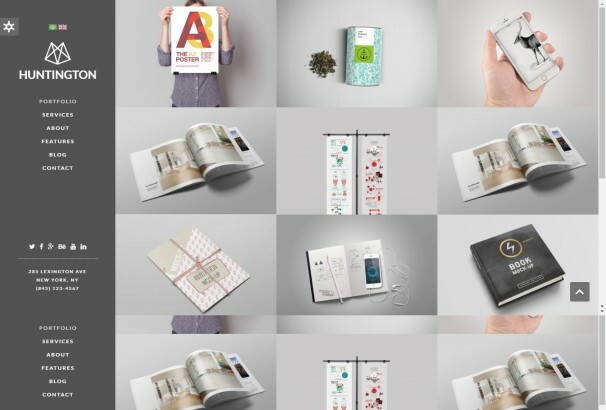 In addition to that the theme also comes with a number of amazing features including a one page layout, product showcase, portfolio and blog section as well. 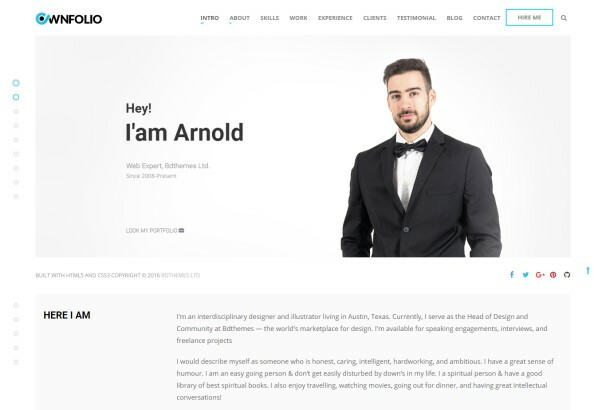 A really simple and multipurpose website theme that is perfect for all sorts of creative and contemporary content, this theme has everything a portfolio website should have. 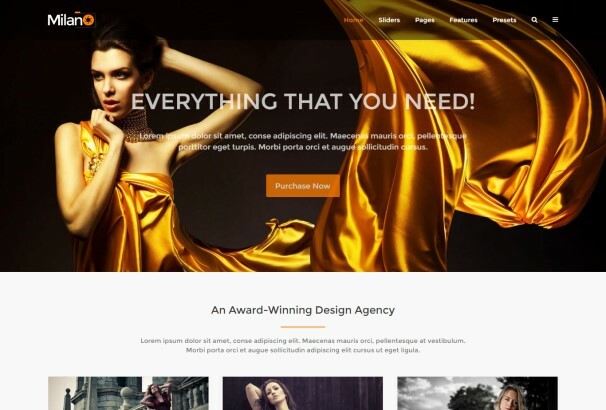 The ultimate website theme for designers, photographers, models, studios, creative agencies and artists, Identity has the interface and organized structure to make your content shine and stand out. The theme is a multi-page portfolio website theme and it also comes with eight different home page options that you can choose from. To make your website all the more sleek this theme also comes with AJAX inspired page transitions which provide you with an amazing user experience. 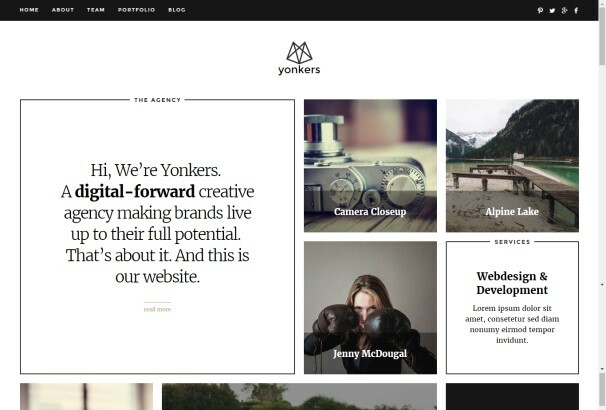 Yonkers is a really creative and unique website theme that is the perfect combination of style and practicality. The theme has a really responsive and engaging interface with a classy colour scheme and a grid based layout which helps you organize your content in a really stylish way that makes your website easy to navigate. The theme also comes with the new packery extension for isotopes which is an intuitive technology that effectively organizes and arranges tiles to fill up all the empty spaces. One of the smartest contemporary and intuitive website themes that we have, Huntington has style, efficiency and practicality. The theme is optimized in a way that makes it runs amazingly on all devices with a really high speed. The theme comes with a really sophisticated and stylish tile based interface that also has a hover-intent detection. The theme also comes with a number of other feature like a blog section, a K2 based portfolio section and other organized headers that make the theme really organized and thorough. To add to its flexibility the theme is also really easy to customize with a strong admin panel that adds a really cool effect to your website as well. 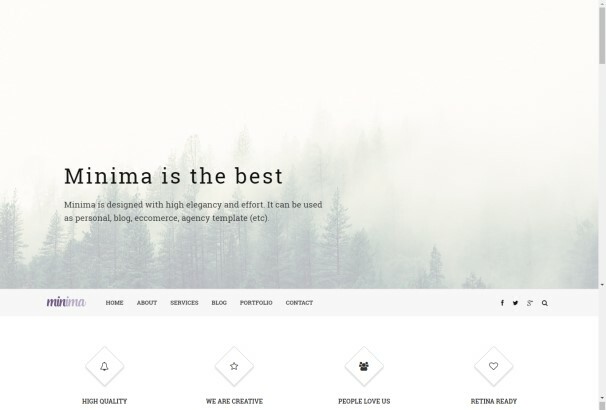 As one would assume from the name, Minima is a really simple and minimal website theme that is perfect for all the people that want the focus of their website to be on the work and the content. This efficient Joomla interface is perfect for business websites and for artists as well. 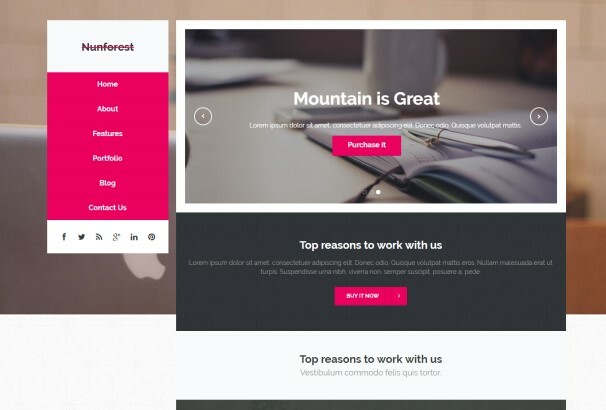 Built on the powerful T3V3 framework that contains a number of amazing options like the SP page builde and the drag and drop builder using which you get to combine elements and create a unique and distinct website for yourself. 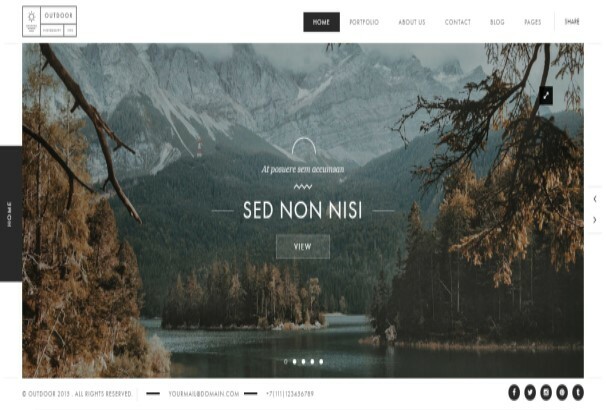 A really clean and engaging interface that is perfect for artists, businesses and photographers, Nunforest is one of the most engaging and lively website themes that we have. The theme is really easy and quick to install and can be setup in literally no time at all. The interface is really organized and sleek and gives your website a really professional look. With a number of amazing features like a blog section, portfolio and contact information, this Joomla template has everything that a basic website should have. 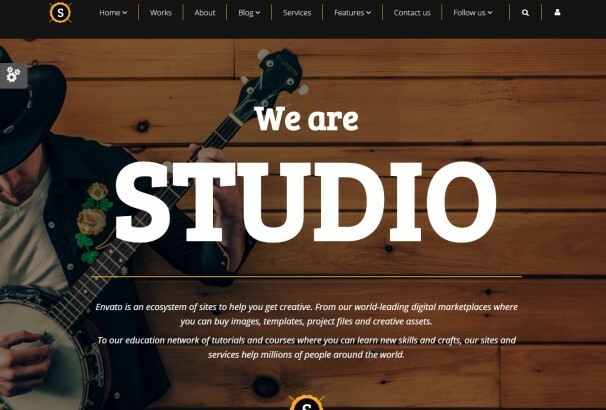 An amazing website theme for photographers, musician, designers and artists that want their website to be all about their work, Studio is the high tech option that is perfect for everyone. Built on the powerful HTML5 and CSS3 framework this theme has the efficiency and practicality that makes it easy to install the theme and to manage it as well. Owing to the powerful SP pagebuilder that it comes with the theme allows you a lot of freedom and ease that gives users an amazing navigation and website experience. 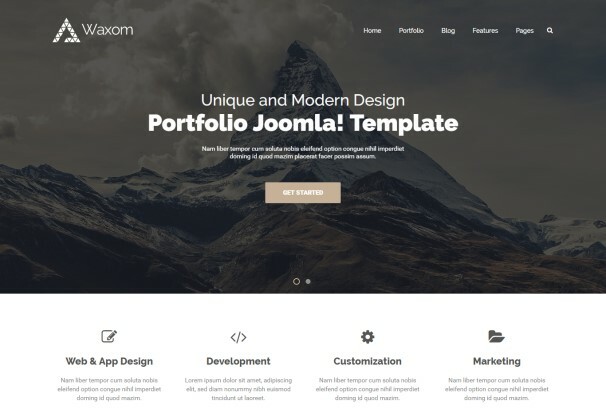 The theme also comes with a number of amazing features including eight different landing pages, portfolio and gallery sections, contact information on the ajax format and a V8 studio features blog as well. A feature rich and engaging Joomla interface, Kora has one of the most simple and sleek designs that are not that common. The theme is perfect for freelancers, photographers, creative agencies and artists that want their work to be the main focus of the website. The essence of the website theme is simplicity and minimalism and makes your content shine. The interface engages the viewers and captivates them while the features add to the appeal of the website making it one of the most unique and creative themes that we have. 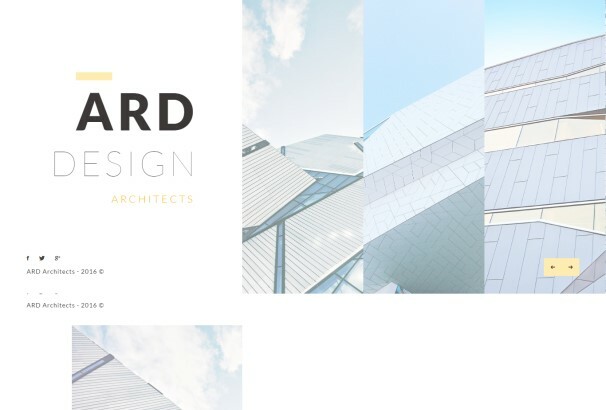 A modern and minimal Joomla website theme that is perfect for independent architects and architecture related businesses, ARD has everything that such a website should have. The layout is really engaging and unique and makes your website look really unique and contemporary. Built on the powerful Bootstrap 3.2 framework this theme is one of the most efficient and powerful themes we have. SEO optimized, the theme also comes with a number of amazing features that make your website efficient and really powerful. 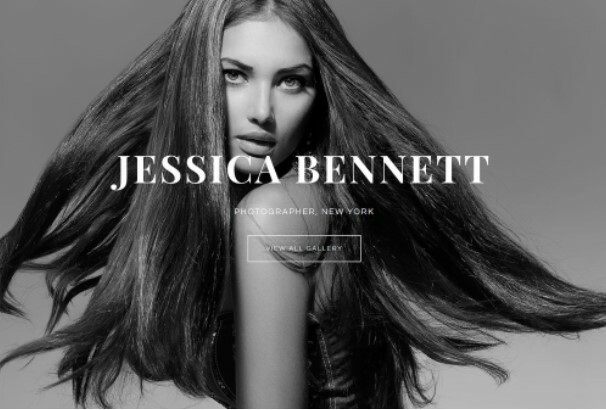 JSN Artista is a Joomla website theme that is perfect for all sorts of artists be it photographers, designers or even models. The theme is created with the purpose to make your work shine and stand out. The interface is really classy and appealing with its black and grey colour scheme and minimal layout. Furthermore the theme is highly customizable owing to the options that this theme comes with. Using JSN Artista you get to create an amazing multipurpose website theme in very little time. Invento is a really creative and innovative website theme that is designed to provide a really easy navigation and website experience to user. The theme comes with a really engaging tile based design that makes use of imagery from your work to truly display your work with style and creativity. The theme comes with a number of amazing features that give your website a professional and interesting website. 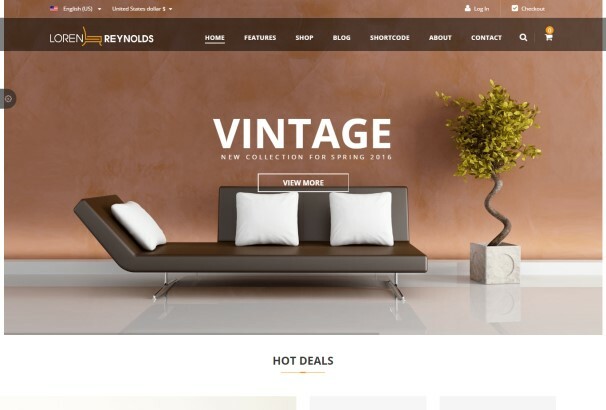 A Joomla 3.x website theme, Invento also comes with Virtuemart that makes it the perfect choice for all those people that want an online store as well. 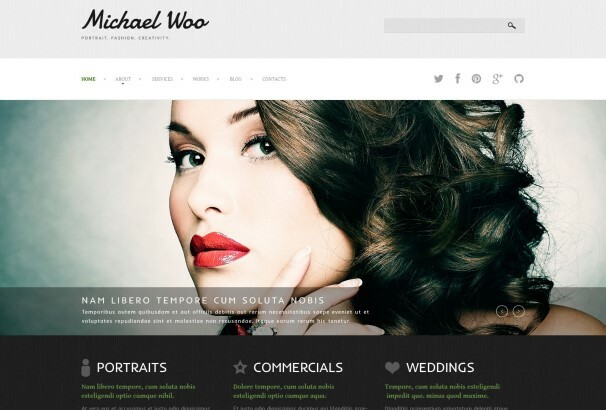 IT Milano is a really sleek and classy website theme that is the very definition of modern. Built on the powerful Gantry 5 framework this theme is a perfect choice for all the people that need a photography or portfolio website. The theme has an interface that combines a number of amazing elements that comes together to create a really aesthetically pleasing and distinct website. Milano also comes with UIkit integration that makes your website really flexible and highly customizable. A really creative and contemporary website theme that is perfect for blogs, portfolios and services, the theme is one of the best Joomla themes that we have. The theme has a really engaging yellow and orange interface that captivates your visitors. It also comes with a number of features that make your website really flexible and organized. The best thing about this theme is that it comes with crossbrowser compatibility that makes it run with an amazing speed on all devices and screen sizes. 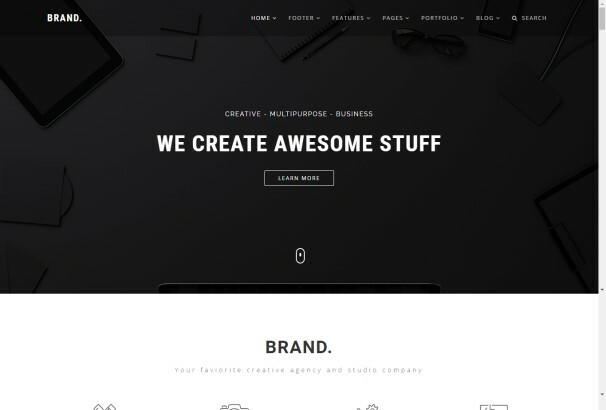 Huge is a reaelly simple and minimal website theme that is highly multipurpose as well. The them is designed to be really flexible that fits all sorts of content. In addition to the simple and engaging interface the theme comes with a lot of amazing features as well. Not only that the theme is really easy to install and set up owing to the Real Quickstart installation for Joomla websites. Anyone can easily and quickly set up the theme in very little time without even having a bit of code knowledge. 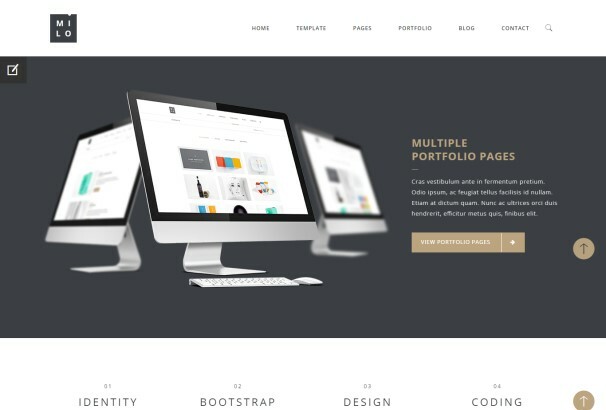 Milo is a really sleek and contemporary website theme that has one of the most impressive high tech designs. The perfect theme for small or large businesses, Milo has the perfect blend of style and efficiency. 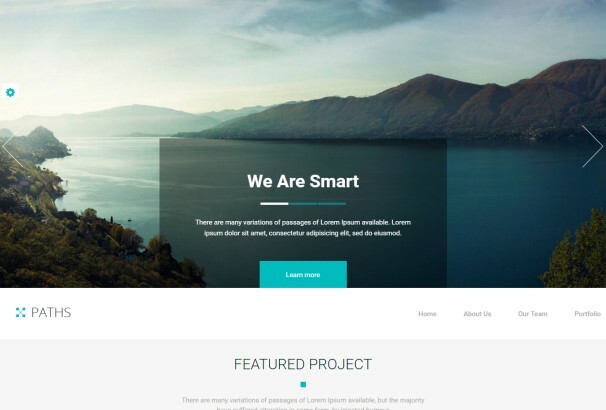 This theme is the perfect option for all the people that want a website that makes their products and services stand out. The theme is not only sleek in its design it also runs with a really high speed on all devices be it mobile phones or laptops. 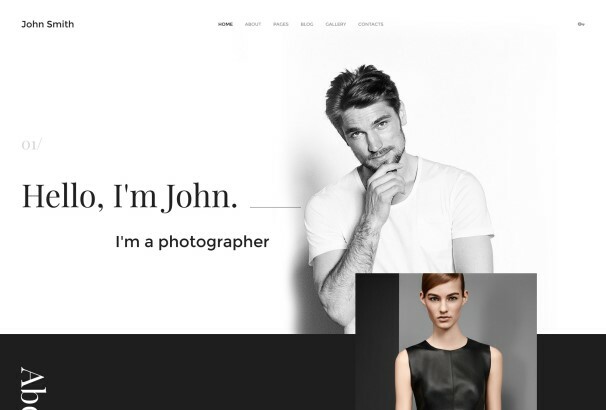 The perfect website theme for photographers, this Joomla theme is one of the most contemporary and simple themes that we have. Not only does it comes with a really professional and simplistic interface the theme also comes with a number of advanced features that make it one of the most professional and easy to use themes that we have. Using the amazing S5 Photo Showcase v2 module you get to display articles and content in the featured articles section to make them stand out. In addition to that you can even publish a blog with a single click and can display it in the homepage photo showcase section as well. The Nation is one of the most multipurpose and flexible Joomla website themes that we have. The theme comes with a really simple and minimal interface that allows you to display all your content with ease and flexibility. The perfect website theme for businesses, portfolios, brands, photography and freelancers this theme has a lot of amazing features including unique pages, more than 15 one page options and multipage versions, more than 200 valid pages and a number of portfolio and blog layout designs that make your content shine and stand out. The theme comes with a number of amazing elements that all gel together and help you create an amazing website. A really responsive and intuitive website theme, Austin is perhaps one of the classiest Joomla templates that we have. 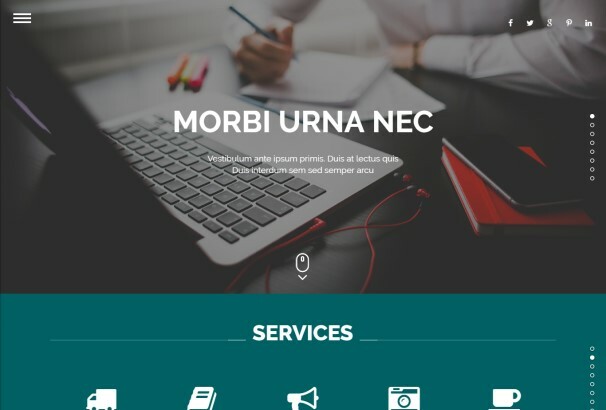 The theme is so multipurpose and flexible that it can be used for all sorts of content be it photography, illustrations, businesses or independent artists. The theme comes with a retina ready black and white colour scheme with a pop of gold to make your layout stand out. The theme also comes with a number of amazing features including a portfolio section, a number of creative sliders and a gallery section as well. 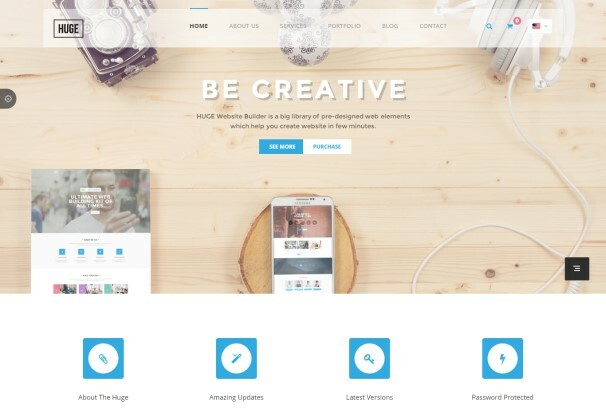 Based on the powerful Page Builder the theme helps you create a really unique and creative website in no time. Scarsdale is a really retro and hip Joomla template that helps you create an amazing portfolio and photography website. 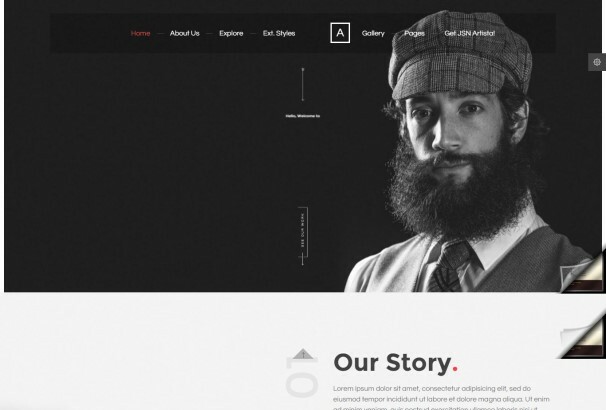 The theme features a light, minimal and trendy design that makes your website really engaging. Owing to the tile based layout you get to display most of your content in the main interface. The theme has a really amazing performance and a pixel perfect design that makes this theme one of the best that we have. 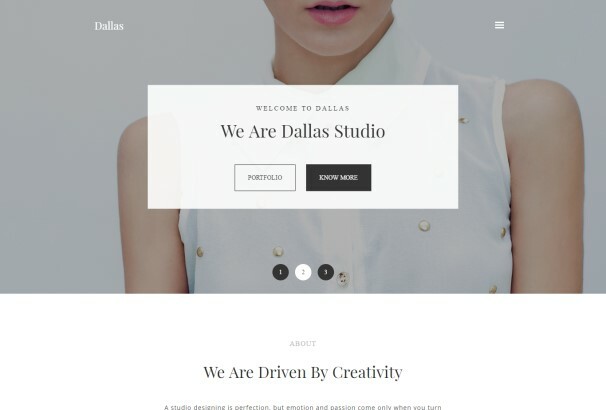 A simple and minimal portfolio website theme, Dallas is perfect for all sorts of users regardless of the nature of their content. This theme is really trendy and creative and has one of the most simple and responsive layouts that a website can have. Owing to the fact that the interface is so simple you get to showcase your work and your content and highlight it. The best thing about this theme is that it is mobile phone optimized that helps you provide an amazing navigation experience to your users. 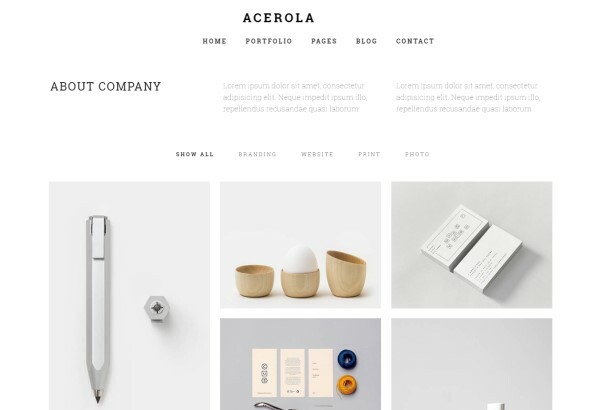 A really responsive and contemporary website theme, Acerola is one of the best Joomla templates that we have. The theme comes with a really amazing simple layout that makes use of a lot of white space and displays your products in a tile based design. In addition to that the theme also comes with a number of amazing features including a portfolio section, blog, layout pages and a really intuitive homepage as well. A really professional and contemporary Joomla 3 interface, Wizard is built on the amazing HTML5, jQuery and CSS3 technologies. The interface comes with fullpage scrolling that makes navigation easy and effective. Using this theme you can create a variety of different homepages and put your own spin on your website. In addition to that the theme also comes with social media sharing buttons and a really detailed portfolio section using which you get to create a thorough and contemporary website for yourself. 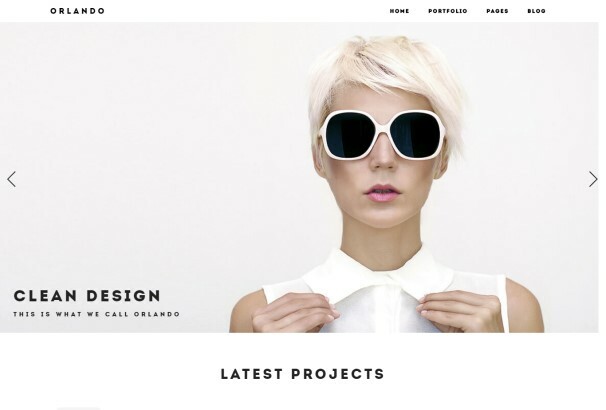 Orlando is a really sleek and contemporary website theme that is perfect for portfolio and photography websites. The theme makes use of a light and simple interface that minimizes all clutter and gimmicks and puts all the focus on the content. 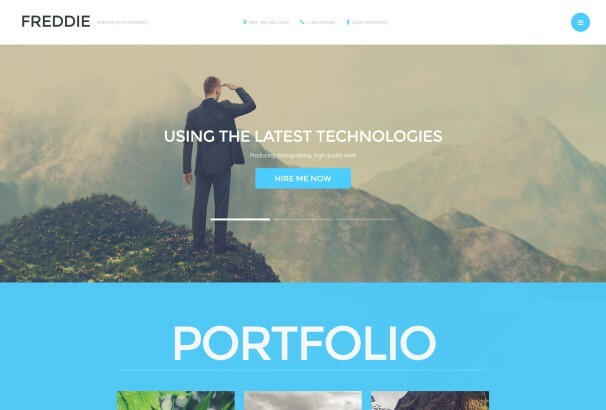 Using this theme you get to choose from up to 16 different portfolio options and set up your website within minutes. In addition to that the theme also comes with a lot of features including columns, gutter/spacing and hover colour that make your website really organized and stylish. By simply choosing either the square or masonry layout and the simple installation process, you get to create your very own website in no time. Waxom is a really modern and contemporary Joomla website theme that is one of the best selling themes on ThemeForest. The theme comes with a really responsive and elegant interface that adds charm and appeal to your content. The theme makes use of amazing technologies like the Warp7 and UIKit. The theme is perfect for all the people that want to create a simple website with ease and speed in very little time. The perfect business theme, Waxom comes with more than 50 module positions that are flexible and easy to customize. Brand is a really powerful Joomla website theme that is one of the most creative templates that we have as well. The theme comes featuring the amazing drag and drop builder and allows you to generate a number of amazing pages to customize your website. In addition to that the theme is also really easy to customize and is optimized to run amazingly on all devices and screen sizes. 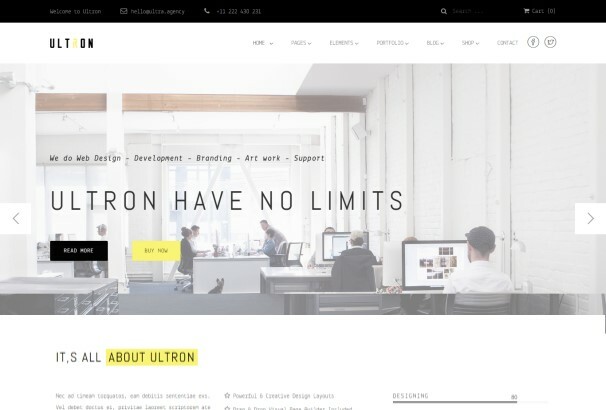 Ultron is one of the most creative and complete Joomla templates that we have. 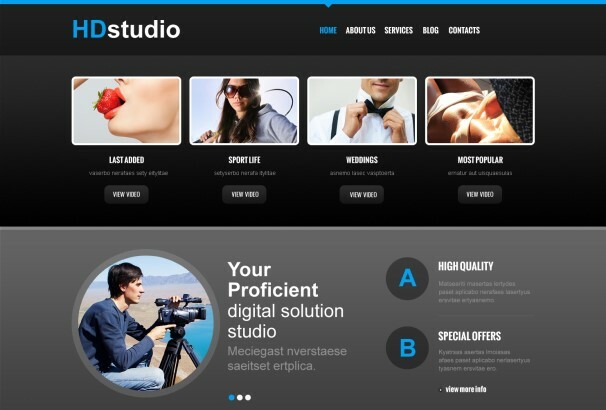 The theme is designed particularly for online shops, designed, freelancers, photographers and all sorts of artists. The main interface is really engaging and allows you to display your content with charm and appeal. The template come with more than 48 different layout options, 250+ valid pages and a number of colour schemes. The theme is one of the most elegant and modern themes that we have and is also really easy to customize and set up as well. JV Loren is a really responsive Virtuemart Joomla website theme that is perfect for all sorts of content particularly furniture stores. The theme comes with a really engaging and creative interface that makes your content shine and gives it a really contemporary and creative look. In addition to that the theme comes with three different layout options that you can switch between and customize your website however you like. IT Royalty is a really creative and contemporary Joomla website theme that is built on some of the best technology including the Gantry 5 Framework. 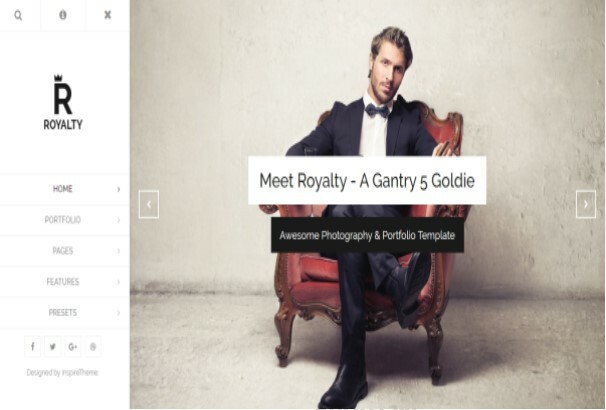 The perfect theme for portfolio and photography websites, Royalty comes with a number of amazing elements that you can combine and create your own unique custom website. The theme is really easy to set up and configure. Royalty also comes with the UIkit framework allowing you greater freedom and ease in your website. 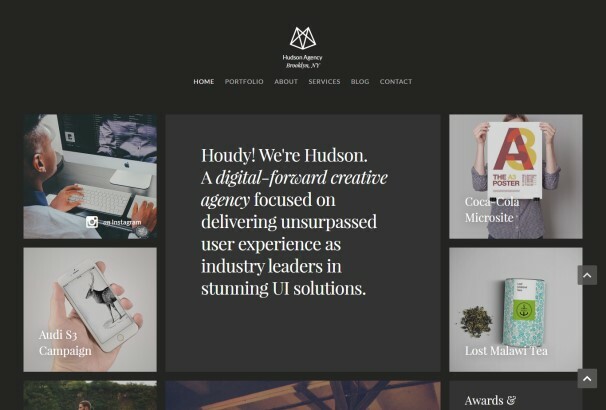 Hudson is one of the most contemporary and creative website themes that we have which is perfect for portfolios and photography websites. The theme comes with a really responsive and classy interface that organizes your data in a really professional and innovative way with its tile based design. In addition to that the theme comes with a number of amazing features that make navigation easy and make your website easy to customize as well. Peekskill is a really modern and contemporary Joomla website theme that is created with the sole purpose of highlighting your work and making it stand out. The theme comes with a really responsive Bootstrap grid based layout that displays your content in a really organized and professional way. Peekskill is optimized to provide you with the mobile touch and swipe feature. The theme not only comes with a number of amazing features it also comes with a powerful admin panel which makes it easy to customize and flexible as well. Cobalt is a really modern and contemporary Joomla website theme that is one of the most flexible themes we have. 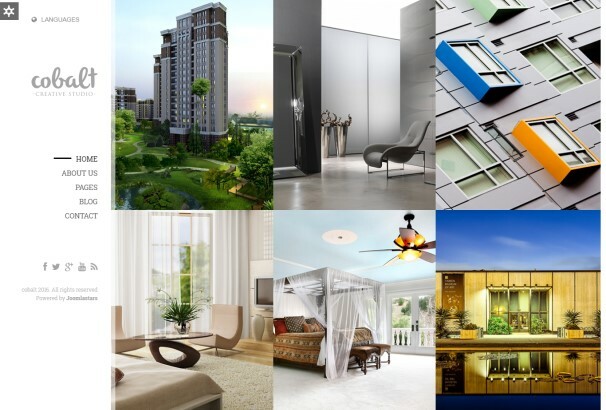 Considering the interface the theme is perfect for architects and architecture related content. The theme comes with 6 different home versions, 4 blog page variations, 3 different about pages, 2 layouts that you can choose from and a number of colour styles as well. The theme comes with a number of different patterns for boxed layout. This professional theme allows you to switch between multiple languages and an RTL layout as well. Photostar is a really responsive and engaging interface that helps you create a really amazing website in very little time. The theme has a really attractive interface that makes use of chic colour scheme and imagery. The theme makes use of Isotope2 that gives your website extra speed and stability. The theme is optimized in a way that makes it run amazingly on all devices and screen sizes. Photostar also comes with a really intricate blog section, lazy loaded gallery, text boxes and a hover intent detection as well. Outdoor is the ideal website theme for all sorts of photographers, designers and artists that want their website to be close to nature and the great outdoors. The interface is really calm, clean and engaging. In addition to that the theme also comes with a number of amazing features that help you create a really fantastic website in very little time. 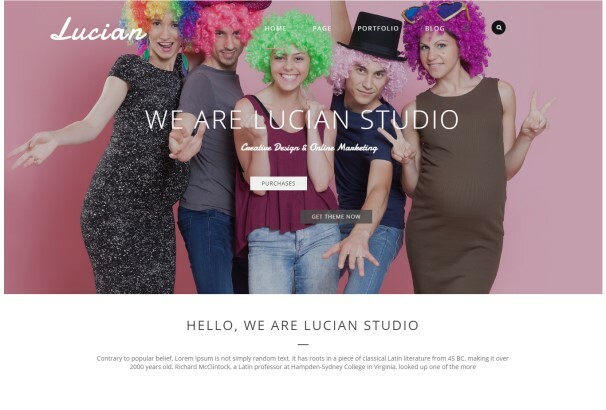 Lucian is a really flexible and contemporary Joomla website theme that has one of the most creative and lively layouts that we have. The layout is really colourful and engaging and makes your website seem unique. In addition to that the theme comes with a lot of amazing features including a really strong admin panel and parallax animations that make your website seem really creative. In addition to that the theme is built on the Helix3 framework which makes your website very easy to modify and customize. 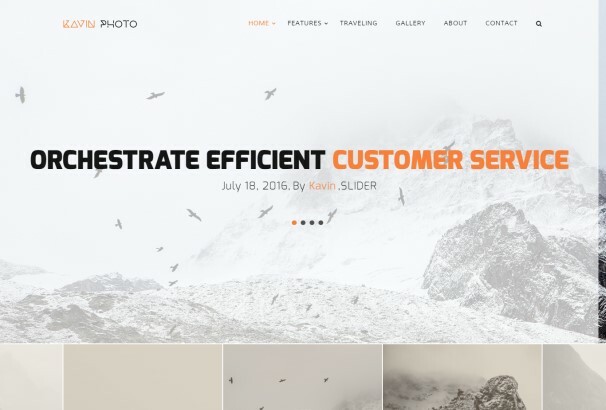 Kavin is a really modern and contemporary Joomla website theme that is perfect for pretty much all sorts of content particularly photographers. The theme comes with a really engaging and responsive interface that allows you to create an amazing website in no time. The theme comes with a portfolio section, a personal and photography blog and a gallery as well. The theme is built on the Plazart framework, HTML and CSS3 frameworks as well making it one of the most efficient themes we have. In addition to that the theme has really strong support for JComments, TemPlaza and JSN UniForm as well. IT Galaxy is a really amazing Joomla template that is one of the best themes we have for IT content. Based on the powerful Gantry 5 Framework this theme allows you to create an amazing website for yourself that is perfect for all sorts of content particularly tech related content. The theme comes with a number of custom particles that allows you to make use of some of the most amazing features. Integrated with the UIkit framework Galaxy allows you the maximum freedom and ease with which you can set up and manage your website. OwnFolio is one of the best portfolio Joomla themes that we have. The theme comes with a really responsive and engaging interface that directly focuses on you and your resume. The theme features a one page design that is perfectly for helping you showcase yourself and your talent. Based on the amazing custom page builder this theme provides you with more than 50 custom elements that help you enjoy unlimited possibilities for the layout. In addition to that the theme is also really easy to customize and edit owing to the Quix page builder making this one of the most flexible and easy to use themes that we have.